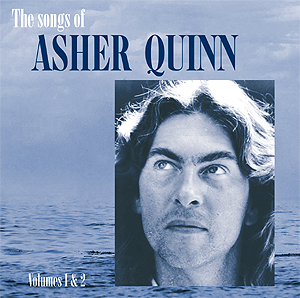 A newly artworked and re-mastered double CD combining, on CD1, what was initially a limited edition compilation of Asher's most popular tracks (some of which appear on other Singing Stone titles), with, on CD2, the most often requested and downloaded tracks that do not appear on any other Singing Stone title... like 'Amadora', 'Mary Moon', 'Red man's love' and 'Talitha cumi'. There is over 140 minutes of Asher's most joyous and plaintive new-age music here! I love especially 'Angel's lullaby' and 'My redeemer'... you are very good at expressing your Godself in music. If you lived not so far away I would ask you for tea, for I am good at making delicious cakes (at least my mother and brother think so). Dear Asha, I purchased a copy of Amadora from New World and I was absolutely stunned by it. It rooted me to the spot. I have a question about your song 'Rashani'. This music went straight to my heart, and since then each day I start off the new day with listening to this song. For me it is like a prayer to start the day with. But what language is it in? Dear New World, in January my eldest son died suddenly. He was only 28 years old, and the light seemed to go out of our lives. Darren was a fun-loving, outdoors person with the same love of Cornwall and all the wild places that we have. Finding a piece of music for his cremation was very difficult until I remembered my Wings of Fire tape by Asha. So I said goodbye to my son with 'Angel's lullaby' playing. It was so beautiful, tender yet spiritual. A beautiful, haunting piece. People have actually asked me for the name of the tape. We are writing to you to express the feelings we have for your composition 'Red man's love'. It is an inspiring piece of work and a beatiful combination of lyricks, sound and emotion. Not since Peter Gabriel's Passion has any artist's work affected me the way Amadora did and still does.